The "Kippe" is at the south-east edge of Moosburg along the canal connecting Amper and Isar rivers. The area owes its name to the building of the canal in 1920, as the removed soil was tipped there (German "Kippe" means "tip"). 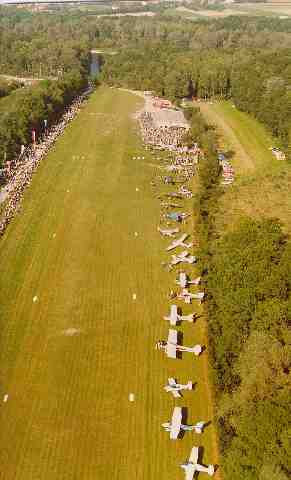 In 1962 the stretch was converted into an airfield of the aviation club Fliegerclub Moosburg. The grassy landing-strip is 690 metres long, up to 900 metres can be used. Since the new Munich airport was opened, only planes of the Fliegerclub are allowed to use the airfield. Sometimes the aviation authority (Luftamt Süd) gives an exceptional permission for other aircraft. 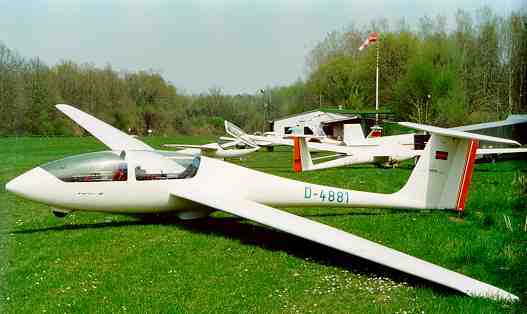 The Fliegerclub has several motor airplanes and gliders for training and sightseeing flights. On Pentecost weekends a Russian Antonov AN-2, the world's biggest double decker, usually comes to Moosburg. Last update 30 Nov 1999 by © Wolfgang Scheinecker and Werner Schwarz (E-Mail) - All rights reserved!